What is Your Plan to Teach Someone to Obey Everything that Christ Has Commanded You? 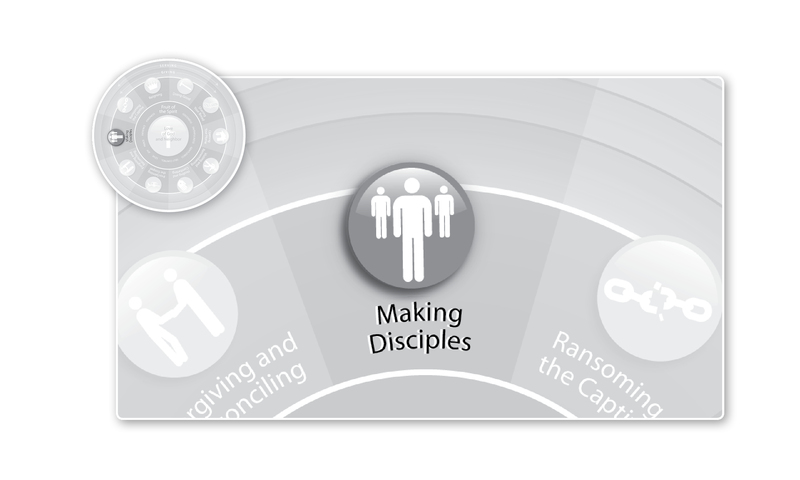 Today begins our annual month-long focus in the blog, the .W Church, and the Whole Life Offering training project on the Work of Mercy of Making Disciples. Jesus’ admonition, in other words, is not to help Christians acquire general facility with the Scriptures (that’s necessary but not sufficient), nor to aid them in thinking Scripturally about the challenges and opportunities they’re facing in life (that’s helpful but at times alarmingly backwards, since “real life” becomes institutionalized as the core focus and the teachings of Jesus become the supplement). Instead, Jesus’ admonition is that as you go, you disciple people. This consists of baptizing them in the name of the Trinity and then teaching them to obey everything Jesus commanded. Answering this question would mean that you have identified someone, that you are committed to teaching them, that you have identified all that Christ has commanded, and that you have a plan to impart this to them. Given that Christ has given this to us as a command, we have significant motivation to undertake it with the utmost seriousness. If you are lost in accomplishing this, you are not alone. The idea that Christ has enjoined on us something specific, rather than just a general call to personal religious observance, is a surprisingly radical notion. Don’t despair over that. My experience has been that more Christians than one might expect actually do find this call compelling and appealing. They simply have no idea how to carry it out. Given the general lack of campaigns being undertaken by denominations, churches, or nonprofits to help in this regard (there are a lot of Bible reading campaigns and a lot of mentor-style discipling programs, but few campaigns strategically committed to equipping Christians to carry out the simple and specific directive to teach others to obey all that Christ has commanded), that is understandable. So let’s work on changing that this month by doing a better job at it ourselves. Where do we begin? With what I think may be the most often overlooked discipleship passage in the modern history of Christianity–one that tells us exactly where and with whom to begin undertaking the Work of Mercy of making disciples. We’ll take a look at it in our next post. This entry was posted in Making Disciples and tagged .W Church, teach them to obey everything I've commanded you, The Whole Life Offering. Bookmark the permalink.